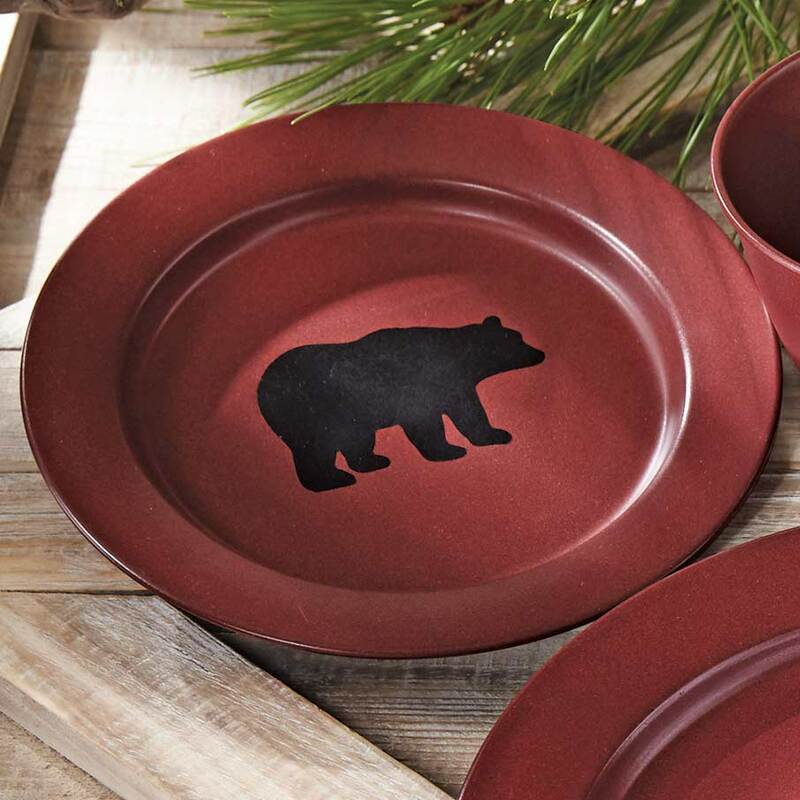 This shatterproof metal salad plate with a bear accent and a baked-on enamel finish adds cabin style to your kitchen. Dishwasher safe. 8 1/4"Dia..